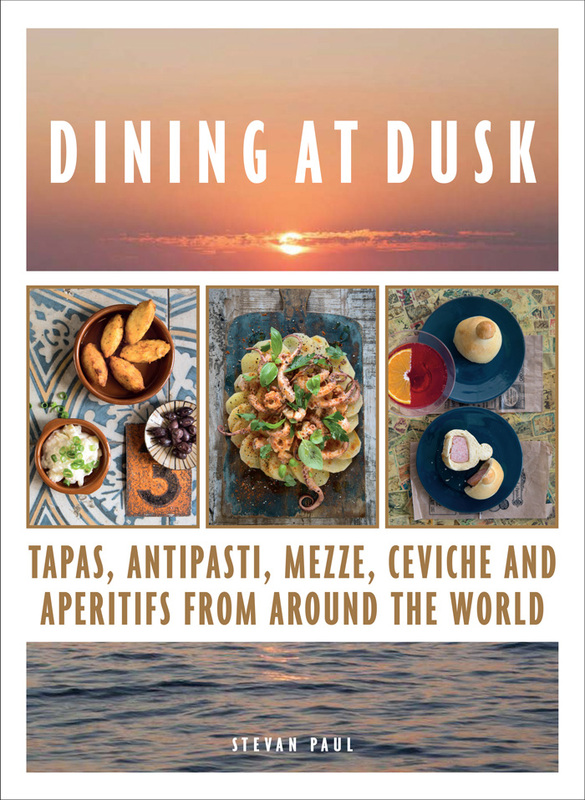 Dining at Dusk, by Hamburg-based chef turned writer and culinary critic Stevan Paul, features recipes which “follow the golden hour around the globe” – including Italian cicchetti, Spanish tapas, Greek mezzes and much more. Each recipe includes recommendations for music and drinks to match. The Cafetería Casa Aranda in the heart of Málaga has made a culinary trinity of scrumptious, hot churros, strong coffee and fragrant hot chocolate since 1932. There’s a hole in the cafeteria wall that allows guests to watch veritable mountains of the hot pastries being made. For the original you’ll have to go to Málaga, but my attempt is as close as I can get! For the churros, bring the Málaga wine to a boil, then add 200ml (¾ cup) water, the butter, cinnamon and lemon zest. Stir in the sieved flour and combine everything to a smooth dough, stirring continuously with a wooden spoon. Continue to stir for another 1–2 minutes. Transfer the dough to a mixing bowl and mix in the egg with an electric mixer. Leave the dough to cool, then knead in the baking powder. For the chocolate sauce, break the cooking chocolate into pieces. Transfer to a saucepan together with 200ml (¾ cup) water, the sugar, cocoa powder, cinnamon and a tiny pinch of salt. Gently heat to melt, stirring continuously, until you have a glossy sauce. Set aside. Heat plenty of oil in a deep-fryer according to the manufacturer’s instructions; alternatively use a deep saucepan and heat the oil to about 180C (350F).∗ Transfer the dough into a piping bag fitted with a fluted nozzle and pipe 10cm lengths straight into the hot oil, using a sharp knife to cut it into lengths. Deep-fry the churros in batches until golden brown, about 6–8 minutes each. Serve hot with the chocolate dipping sauce, dusted with icing sugar to taste. ∗ If you do not have a cooking thermometer, test with a wooden spoon: Dip the spoon handle into the hot oil. The temperature is right if small bubbles start to rise quickly. Salud! Enjoy with coffee and/or a small glass of Málaga wine, served in a tumbler over 1-2 ice cubes and garnished with a strip of orange zest. Non-alcoholic: Dilute orange cordial with water to taste and also serve over ice and orange zest. Image and recipe from Dining at Dusk by Stevan Paul, photography by Daniela Haug. Murdoch Books, RRP $39.99.